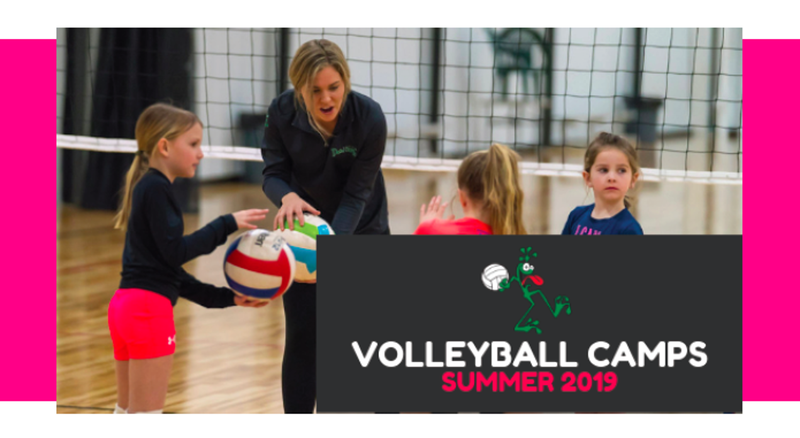 All of the summer camps listed below are held at The Courthouse Athletic Center of Grand Rapids, located at 8895 Byron Commerce Drive SW in Byron Center, Michigan 49315. The goal of this camp is to give kids a positive introductory volleyball experience. K-3 - Development Emphasis: hand-eye training, motor skill development, one player/one ball training, footwork patterns and speed & quickness. 4-5 - Development Emphasis: ball movement training, physical development, underhand skill training, overhand fundamentals, 4v4 small court play and 3-contact same side emphasis. Cost: $65/session or $105 for both sessions! This collection of camps geared towards grades 5-8 is the perfect opportunity for players to perfect the basic skills and develop a well-rounded game. Jr. Spikers Attacking Camp: This camp will emphasize correct arm swing mechanics, approach footwork and hand contact. Attacking different types of sets will also be worked on. Jr. Spikers Setting Camp: This camp focuses on the basics of setting: hand positioning, footwork sequences and setting a variety of balls. Jr. Spikers Serving/Passing Camp: This camp focuses on the mechanics of serving as well as techniques in serve receive. Cost: $55/camp, or $150 for all three camps! The first hour will be made up of skills training followed by an hour of competitive play! This is a great camp to prepare you for your upcoming middle school tryouts. The skills of attacking, setting, serving and passing will all be worked on and will be incorporated into game-like drills. Cost: $110/session, or $200 for both sessions! Come get ready for the upcoming high school volleyball season with the Dead Frog staff. This high-intensity camp looks to prepare girls for high school level tryouts and the season to follow. Campers will work on various areas of the game (passing, serving, attacking and setting) as well as position-specific techniques and drills.